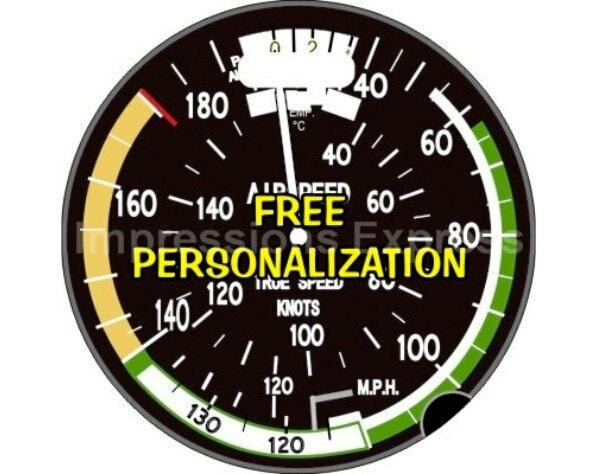 Aviation Airspeed Indicator Pilot Personalized Luggage Bag Tag. A personalized double sided airspeed indicator on a round luggage bag tag. The image on this luggage bag tag is a high resolution photo of a real aviation airspeed indicator. These were the perfect gift! thanks for the fast shipping!